I was driving through Woodstock Ontario and noticed a lot of urban decay, closed shops, and general disrepair along the main drag. 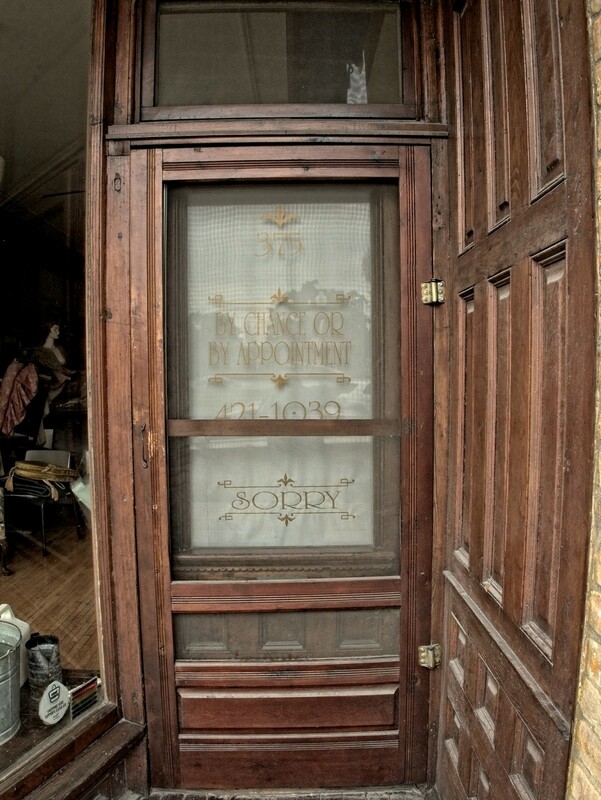 This shot is of a door to a shop that is closed, but you can see stuff piled up inside - it may be getting renovated. I'm not sure.